For some it still might be surprising that mental disorders like depression are major risk factors for physical diseases such as stroke and heart attack. But actually the connection between mind and body is a well-known fact. A recently published study could demonstrate how big the impact really is. The study showed that depression is a major risk factor for cardiovascular diseases. It poses a risk just as great as that posed by high cholesterol and obesity. 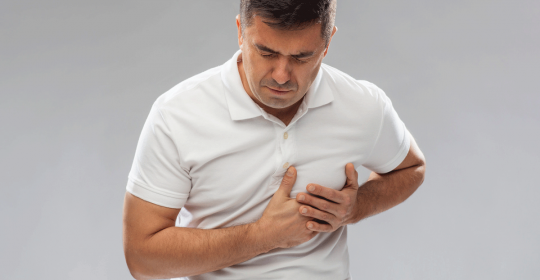 Researchers from the Helmholtz Zentrum München, the Technical University of Munich (TUM) and the German Center for Cardiovascular Disease (DZHK) included from 3,428 male patients between the ages of 45 and 74 years in the study over a period of 10 years. The study showed that depression is associated with an increased risk for cardiovascular diseases such as stroke and heart attack. Depression is responsible for 15% of heart attack deaths. Thus, depression is a major risk factor comparable to elevated cholesterol levels or obesity.